It is believed that Lord Shiva emerged from the ear of a cow (Prithvi, the Mother Earth) here. It is at the ear-shaped confluence of two rivers Gangavali and Aghanashini. Gokarna is a small temple town on the western coast of India in the Kumta taluk of Uttara Kannada district of the state of Karnataka, an hour south of the Goa border. The main temple and deity is Lord Shiva, who is also known as Mahabaleshwara. 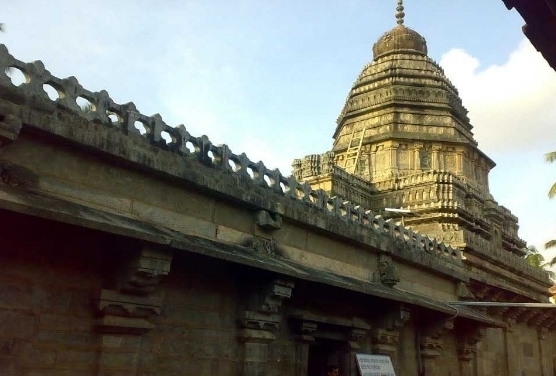 This temple houses what is believed to be original image of Lord Shiva's linga (Atmalinga). But there are many other temples to explore all over town. Gokarna is an important centre of Sanskrit learning and houses Bhandikeri Math and Toggu Math. It is a place where Sanskrit knowledge is passed down from generations in Brahmin families. Many Hindus perform the last rites here. 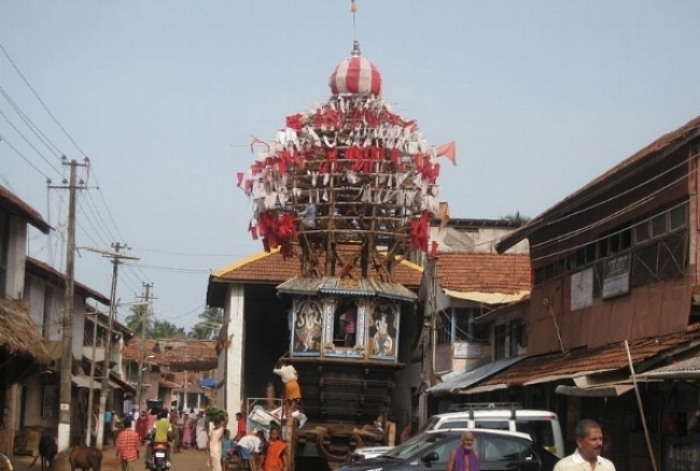 Gokarna is known as one of the seven important Hindu pilgrimage centers as well as a holiday destination. The town is full of coconut, banana and other trees, blue seas and clean sands. It is a laid-back town with two main streets lined with shops and traditional tile-roofed brick houses. Kannada is the main language spoken here; as well as Konkani and English. Due to its unspoiled and rustic nature younger western tourists started visiting Gokarna about a decade ago, but today, there are many beautiful resorts catering for the upper market and wellness tourists. Showcasing the brilliance of the classic Dravidian architecture, Mahabaleshwara Temple was built in the 4th century and is most famous for its Shiva Linga known as Atma Linga that is worshipped here - often being paralleled to the Shiva Temple at Varanasi. This temple has a 1500-year-old deity that is carved stone of Lord Shiva. If you’re seeking a spiritual retreat, Mahabaleshwara Temple in Gokarna will refresh your soul and offer a peaceful retreat with the Almighty. According to one popular legend, it is believed that the deity of the temple will bestow immense blessings to devotees to those who just get a glimpse of it. The floor of the hall in front has an intricate engraving of a giant tortoise. One of the most popular places to visit in Gokarna is the Maha Ganpati Temple which draws many pilgrims every day. It is located near the Mahabaleshwar Temple and dedicated to Lord Ganesha. Popular legend says that Ganesha tricked Ravana who was carrying a Shiva Lingam to drop it here and thus the temple was built on this place. The deity here is two-armed, standing and at least 1500 years old. Make sure you check out the huge chariots near the Ganpati Temple, which carry a Shiva idol through the streets while people throw bananas at it for good luck during the Shivaratri Festival in February or early March. The Uma Maheshwara Temple is another Shiva Temple in Gokarna, housing the Lord with Goddess Parvati. If you’re looking for more religious places to visit in Gokarna, then Bhadrakali Temple should definitely be on your list. Dedicated to Goddess Uma who is the main deity, this temple is a popular pilgrimage centre. Legend says that when a demon known as Vetrasur seized control of the three lokas, the trinity of Lord Vishnu, Lord Brahma and Lord Shiva created a female warrior called Durge. She was given various powers by the gods to defeat the demon and after that Lord Shiva re-christened her as Bhadrakali. She was sent to Gokarna and is now believed to be known as the protector of the town. Another legend associated with the temple says that Lord Cishnuto requested the goddess to stay in Gokarna after Ravana abandoned her. Other beautiful temples in the area are the Tamra Gauri Temple, the Venkataramana Temple, the only Vishnu temple in Gokarna, and the Shri Mahalasa Siddhivinayaka Temple which was built 150 years ago. One of the most sacred places to visit in Gokarna, Koti Tirtha is a popular man-made tank which is encompassed by beautiful temples all around and used for ritual bathing and immersing idols. As per one popular legend in Gokarna, Koti Tirtha is believed to be the origin of a thousand springs. Koti Tirtha is situated close to the famous Mahabaleshwar Temple and attracts pilgrims who perform rituals and pay respect to the ancestors. The Shiva Cave is a fascinating place to visit. With its dark interiors, tourists are advised to carry a torch inside when they are visiting here. It is also home to many bats and has an interesting legend associated with it. There is also a Shiva Temple nearby where devotees come to seek fulfilment of their wishes. The Mirjan Fort is a majestic masterpiece of architecture on the banks of Aghanashini river. The fort has many historical events associated and is believed to have been built under the patronage of Queen Chennabharadevi, famously known as pepper queen of India in the 16th century. The fort was once an important centre the spice trade and later captured by the British who used it for their armoury. It is encompassed by a mesmerising landscape and maintained by the Archaeological Survey of India. It houses some intriguing artefacts like Chinese Porcelain, clay tablets with Islamic inscriptions and gold coins attributed to Portuguese Viceroy Conde De Sarzedas that were excavated by the ASI in 2001. Apart from being a holy town, Gokarna is also known for four of India's most secluded and pristine beaches. The Gokarna main beach in town and Kudle beach, as well as Om Beach, Half moon Beach, Paradise Beach (also known as Full moon) and Belekan Beach. The Namaste Retreats India retreat Swaswara is situated on Om Beach which is named so because it is shaped like the auspicious ॐ Om symbol. Although the beach is unparalleled in natural beauty and its serene landscape, it is relatively less crowded and charms the visitors with its rejuvenating ambience. If you do want to get active….the most popular activities at Om Beach are banana boat rides, dolphin spotting, fishing, bumper boat ride, jet skiing and beachside trekking. The infamous Namaste Café is also located on Om Beach. This beach front restaurant offers an ideal space for tourists who want to dwell on the splendid views of the sea with a spectacular plate of food on their tables. Whether you fancy a quiet stroll to feel the sands on the beach or wish to relax in picturesque vistas, Namaste Café is the place to be. The other much smaller beaches -- Halfmoon and Paradise -- are to the south of Om beach. They're a scenic 30 minute hike away from each other through the hills and over rocks, or a short boat ride away. Last but not least there are the Lalgulli Falls – a waterfall surrounded by verdant greenery that adds to the beauty of this place. There are a number of thrilling activities available like trekking, river rafting and other water sports at River Kali. 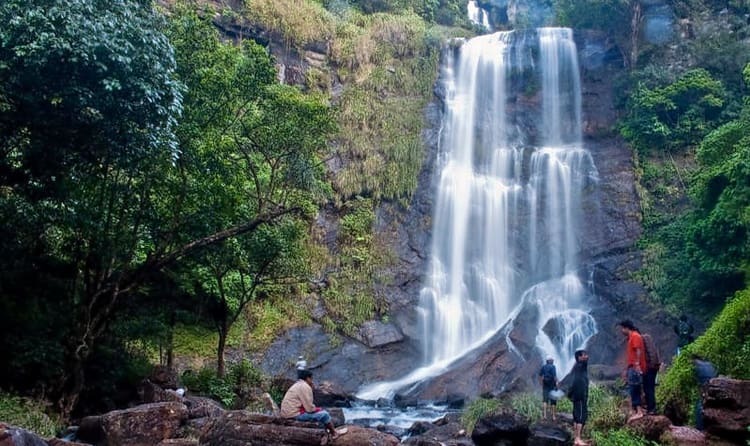 The natural beauty of Lalgulli Falls is also blessed with a number of birds making it a delight for bird-watchers. When visiting this place, tourists can also pay a visit to a Hanuman Temple that is located near the hill. We hope you have enjoyed our Gokarna blog and feel inspired to explore this fascinating and beautiful place together with us in September. Check out our packages and come along on an unforgettable journey to the South of India.